Du vil absolut elske denne fiskestang! Min mand var faktisk i stand til at bære dette i sin bagage og tage det på ferie! Han kunne fiske på mange steder, fra lokale damme til havet med denne stang. Han var misundelse for alle de andre fiskere! 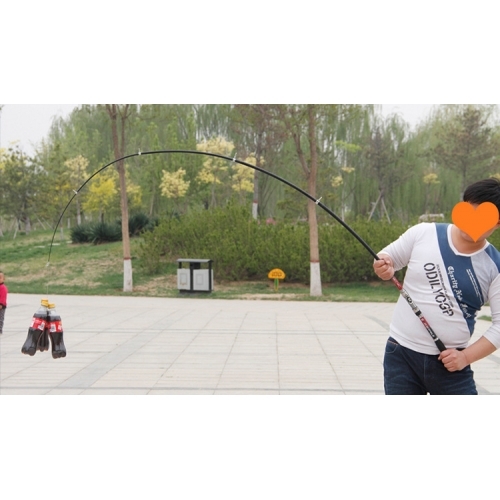 You are absolutely going to love this fishing pole! My husband was actually able to carry this in his luggage and take it on vacation! He was able to fish at many places, from local ponds to the ocean with this pole. He was the envy of all the other fishermen!